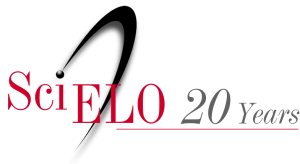 At 20 years, the SciELO Program is renewing the priority lines of action for the next five years (2019-2023)1, with formal implementation by all network collections starting January 2019. The update aims to strengthen the alignment of quality journals with the advances and innovations of the processes of publication and dissemination of research articles. It is a joint effort of the national coordination units of the SciELO Network and especially the journals’ in the progressive adoption of the best practices of open science communication, which favor the processes’ celerity and transparency, and the opening of the articles’ underlying content in favor of their reuse and the reproducibility of research results. The lines of action update and amplify those that were launched at the 15 Year anniversary of SciELO2, which then focused on the advancement of professionalization, internationalization, and financial sustainability. Five years ago, SciELO’s priorities were to improve the journals’ management and operation, priorities that remain valid, strengthened and complemented with the guidelines towards the transition to open science. The updating of the lines of action affects three dimensions of SciELO’s governance and operation. The first and most challenging dimension affects journals and refers to updating editorial policies and procedures regarding the requirements that manuscripts must meet in relation to best editorial practices towards the transition to open science. 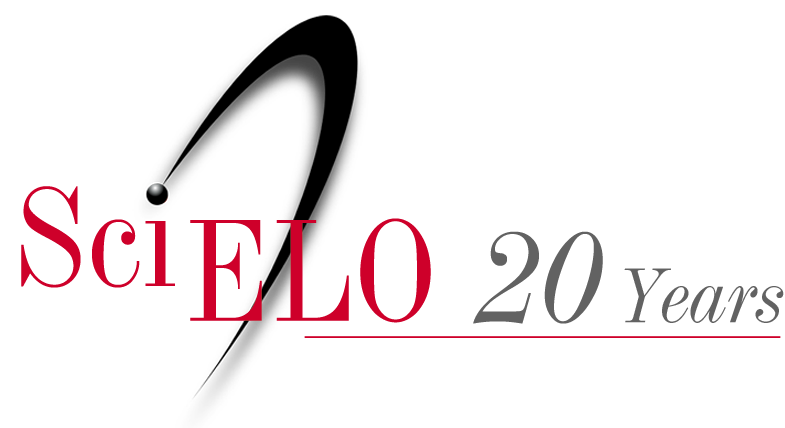 The second affects the national collections and refers to the updating of the indexing criteria of the SciELO Network that will progressively condition the admission and permanence of journals to meeting the current standards of scholarly communication and implementing the priority lines of action, and the third affects the entire network with the adoption of the updated structure of the SciELO Model publishing workflow. In the research results’ communication process, the journals fulfill the key function of manuscript validation and, therefore, validating the research they communicate. This function will be enhanced by the adoption of the new lines of action. To do so, journals will face three main challenges. The first is how to accelerate the process that begins with receiving manuscripts and ends with the online publication of the article’s final version, a process that currently takes on average 12 months considering all SciELO Network journals. The second is how to enrich the articles’ evaluation and publication making data available and referencing it, methods and other underlying materials in order to enhance results reproducibility and the reuse of data, software codes and other materials. The third challenge covers the adoption of openness and transparency measures in the processes of manuscript evaluation. The SciELO Publishing Model will be expanded with new publication and article type options. The main publication innovation is oriented to radically accelerate research communication, making available in reliable preprint servers non-peer reviewed manuscripts, attributing them with a DOI. Preprints are open access by definition and the authors are responsible for the scientific and ethical rigor with which the research was carried out and communicated. After being submitted to a journal for assessment by ad-hoc editors and referees for formal publication, the SciELO model will accept the publication of the manuscript as soon as it is approved and it is still being edited, a version called provisional, but already identified with its final DOI. In addition to these options SciELO strongly recommends for those journals that have not yet done so, the adoption of the continuous publication of the articles’ final version, that is, as soon as the editing process is completed, as of 2019. For journals that resist continuous publication, there is always the option of publishing ahead of print and to follow the recommendation of publishing the numbers before or at the beginning of the period of each new edition. In either option, the purpose is to avoid or minimize the retention time for publishing approved articles. The SciELO model will also be enriched with a new type of document: the data article, which aims to describe a file or set of data files available in data repositories. The data article describes provenance, curation, coverage, limitations, format, and use of the data. With the data article, the authors have three sets of means to communicate research: the data and computer software deposited in recognized repositories (accompanied by the respective metadata that identifies, authorship, dates and location), the data articles, and the classic textual articles. Referencing the content underlying the articles’ texts represents an important innovation for authors and journals, so that their implementation should occur modularly and progressively. The starting point of the process is the decision by the journals’ editorial boards to begin initially adopting the orientation and subsequently the requirement that the manuscripts be accompanied by citation in the text and referencing in the bibliographical references section of all the data, software and other materials that subsidize the article and are essential for the reuse and replication of research results. As an editorial policy, this requirement should be documented in the instructions to the authors that should be updated at least annually. The pace of implementing the innovations will be according to each journal’s decision, however, the perspective is that the process will be fully completed for most journals in the next two to three years. To this end, SciELO has adopted as a system to promote and control referencing, the Guidelines for the Promotion of Transparency and Openness3 in the journals’ policies and practices (TOP Guidelines –Transparency and Openness Promotion4). According to these guidelines, the first step is to document in the instructions to the authors the norms for citing data, codes and other materials adopted by the journal in a way similar to that made with the different types of scientific literature and to recommend authors their use. The second step will be to require that the manuscripts correctly cite and refer all external contents and the third is that the referenced contents be informed together with the submission of the manuscripts. Another expected contribution from journals representing subject areas or disciplines will be the acceptance and evaluation of manuscripts of data articles. As for the promotion of transparency of the manuscript evaluating process, the most advanced form is open peer review, whoe adoption represents a huge challenge by the journals in general and particularly for those of the SciELO Network, due to the resistance of authors, referees and editors, and the fact that closed peer review is historically practiced by all journals. However, progress is advancing internationally regarding the adoption of actions that promote more transparency and openness in peer review. SciELO recommends that journals advance the opening of peer review with policies and practical measures involving authors, editors and peer reviewers. First, journals should thoroughly document the policies and procedures they follow in the initial assessment of integrity and adherence of manuscripts to journal requirements and peer review in order to promote uniformity of understanding and practice. One of the key aspects of this documentation is the adoption of procedures to verify the integrity of manuscripts, such as the detection of similarity with published texts to avoid plagiarism, as well as the application of best practices regarding ethics in research communication adopting the SciELO guidelines5. Secondly, they should gradually experiment with openness options, such as publishing in the approved articles the name of the editor or editors responsible for the evaluation, offering editors the option of disclosing their identity to authors, offering authors and peer reviewers the possibility of publishing the reviews, and offering the option of open peer review, i.e. disclosing the identity of the reviewers and authors to one other during the review process. This increasing sequence of openness will contribute to learning about acceptable forms of openness. Journals may also open up the articles already published to user comments through specialized platforms. Journals should operate plans and procedures to promote the sharing of articles on social networks. The advocacy and application of the priority lines of action of the SciELO Network should be reflected in the indexing criteria of the national collections. Indicators of the number of citations received in the bibliometric indices Dimensions, Scopus and Web of Science. Most of the indicators will be available in the SciELO Analytics portal that should also progressively provide interfaces for access to source data, in order to promote the use of these data by communities of development and improvement of methodologies and assessment metrics.